If you’re planning to be in beautiful Wrightsville Beach, North Carolina, then you might want to find a top-notch fishing charter for the area. 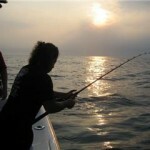 Fortunately, Cape Fear Coastal Charters fishcarolinabeach.com is exactly what you need. People in the picturesque North Carolina town can have a blast with our company’s reliable fishing charters. If you’re in the mood for a day on the waters of gorgeous Wrightsville Beach, then our company can be of assistance to you. People who are interested in offshore and inshore charter fishing excursions can always rely on Cape Fear Coastal Charters. Whether you want a fishing charter for a day with your buddies, a workplace event or some quality family time, Cape Fear Coastal Charters is sure to provide you with a wonderful time to remember. 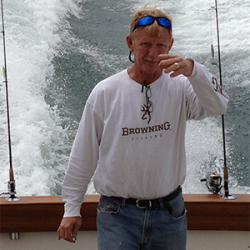 Cape Fear Coastal Charters is centered around guide Captain Owen, who possesses 40+ years in fishing background and expertise. He also boasts the best fish catching success rate around. If you’re looking for a fishing charter that knows how to catch fish, then you can’t top Cape Fear Coastal Charters. Not only is Captain Owen extremely seasoned in fishing, but he’s also a diligent and attentive professional. He aims to ensure that all of our clients have a terrific time. He comes equipped with a large selection of fishing equipment. He even provides customers with the luxury of a restroom. While Captain Owen does come equipped with most of the essentials, our company recommends that customers show up with ample sunblock, various snacks and a big cooler. If you’re looking for an excellent fishing charter experience in Wrightsville Beach, then Cape Fear Coastal Charters can provide you with that. Our company knows that fishing is supposed to be a calming and pleasant activity. Because of that, we go out of our way to make our fishing charters as cozy as can be. While the beaches in North Carolina are chock-full of fishing charters, our Wrightsville Beach company stands tall above the rest. We’re experienced in fishing. We’re 100 percent dependable. We’re also extremely courteous and polite. If you always prefer to deal with professionals who are friendly, gracious and knowledgeable then you’re sure to approve of our devoted team. If you want to have a blast with coworkers, family members or close buddies, don’t waste time being around people who aren’t going to contribute to your experience. Last but not least, our fishing charters are highly affordable. If you wish to go fishing and gaze at stunning Wrightsville Beach in total peace, then the last thing you want to do is have to panic about prices. Since we aim to make our rates as low and budget-friendly as can be, you can throw that worry out the window. When you spend a day on Cape Fear Coastal Charters, you never have to be afraid of going broke. If you’re planning to be in or around lovely Wrightsville Beach in the near future, waste no time in arranging for a fishing charter with Cape Fear Coastal Charters. You can contact us through a simple phone call.